Dogs are so cute. As soon as you first saw your cute little bundle of fur you know he was the dog for you. He was so adorable. You could imagine him playing with your kids, sleeping at your feet in front of the fire, making life happy and wonderful for the whole family. What you didn't anticipate was biting. Or his pushiness. Or that he would chew up clothes and furniture. You didn't know he'd be so hard to housetrain. You didn't know that he wouldn't listen to you at all. But it's time to admit that you have a difficult dog. Maybe you feel like giving up. Lots of people do. Lots of problem dogs end up in animal shelters where they will most likely be put to sleep. At best they will be adopted out to someone else while they still have all the same problems. The result will be that they will probably end up right back in the animal shelter again. You probably feel like you're trapped and living with a bad dog. You are living with a badly behaved dog. Your dog isn't bad but he hasn't been taught how to behave properly. What your dog needs is a commitment from you - his family - to work with him (the difficult dog) to improve the situation. That's the most important first step in handling any difficult dog. What happens after you make that commitment to your dog? There's no one single solution to a dog's problems. Each dog's personality and needs are unique to him. There are some good answers that work for lots of dogs, however. There are four basic things you can do to start helping your difficult dog live a happy life and become a pleasant home companion. 1. Make Sure Your Dog Is Healthy: In some cases, it's possible that behavior problems can be due to health problems. Some housetraining problems can be caused by health issues, for example. 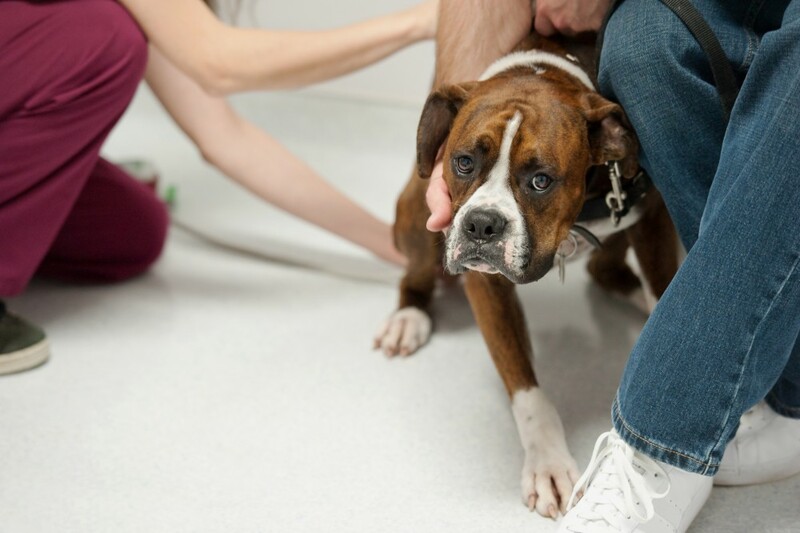 You should consider the possibility that your dog has an underlying physical problem. Have a vet check your dog out before you assume he's a "bad" dog. Proper treatment for health problems can resolve some behavioral problems and help your dog's health. 2. Be Patient: Training requires patience. You can't expect your dog to change his behavior overnight, even with the best of training. He didn't become a naughty dog quickly and it will take a little while to change his behavior. You have to change his thinking and his behavior patterns. Try not to judge your dog according to how your neighbor's dog went through a training course, or how a dog on TV is claimed to have been trained. Each dog is different and your dog has to learn at his own pace. It will take a commitment of time and patience on your part (and on the part of your entire family) for your dog to make progress. If you become impatient your training is likely to be inconsistent and you may lose your temper. All of these things will slow your dog's progress or set him back. 3. Look For Information: Look for the best information you can find about training your dog. Little pamphlets from the pet store are not going to do the job. What you need is detailed information written by experts about dog training. You need proven methods to help you train a difficult dog. Check the library, bookstores, and the Internet to find good information and tips to help you understand and deal with your dog. Start right from the beginning. Find out which trainers are respected and which ones are most likely to train in ways that may work with your dog. 4. Don't Be Afraid To Get Help: Look for help when you need it. If your dog has some serious behavior problems or if your own training isn't working, don't be afraid to find a professional dog trainer. If you feel like you've reached a dead end sometimes a professional trainer is the best solution. Quality professional dog trainers have worked with many dogs and seen many problems. They have a great deal of experience. They may be able to try an approach that you haven't found yet. At the least, you can consult with a trainer.